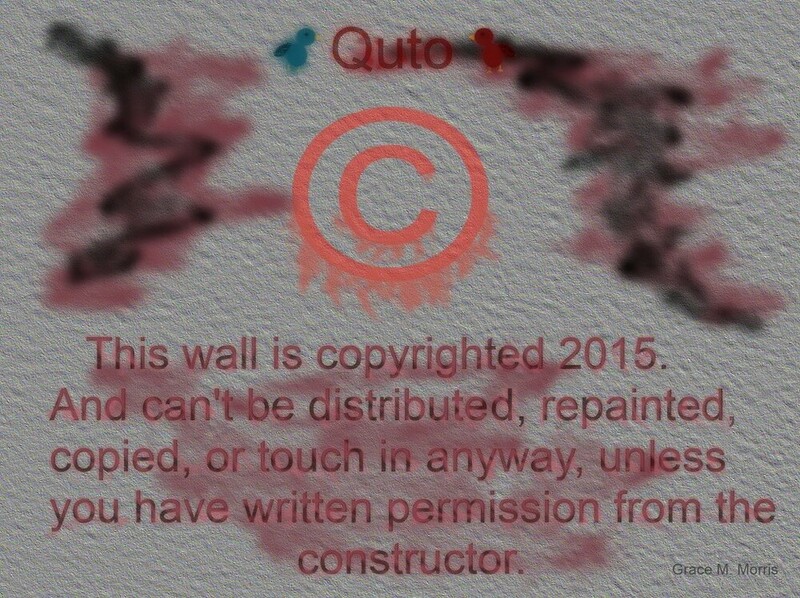 Quto: © This wall is copyrighted 2015-2018. And can't be distributed, repainted, copied, or touch in anyway, unless you have written permission from the constructor. Like the wall above, this site is copyrighted © 2015-2018 by Grace M. Morris. And this site and all the content on this site (pictures, text, books, videos, and Quto's, etc.) can't not be distributed, reproduced, or copied in anyway. All rights reserved. However it is okay to pin our Quto's pictures on Pinterest. Sometimes we use Scripture on our pages. All the Scripture we will use comes from The ESV® Bible (The Holy Bible English Standard Version®), copyright © 2001 by Crossway, a publishing ministry of Good News Publishers. Used by permission. All rights reserved. Please when commenting on this site, use nice language (rated G or lower) and treat others kindly. The most important thing you all need to do is to LOL on all the content here! Also this is an author site. On this site you will find information on Grace M. Morris's books, funny pictures, stories of faith, and inspiration that inspires Grace M. Morris to write. All the stuff on this site we made unless otherwise noted. Also we will sometimes talk about other people's books or movies. Grace M. Morris strives to provide consumers with transparency and in that spirit, we would like to share how we make money. We have signed up as an affiliate with Amazon. When people click on product links and then buy at Amazon we receive a small commission. Don't worry there is no fee for clicking the link. 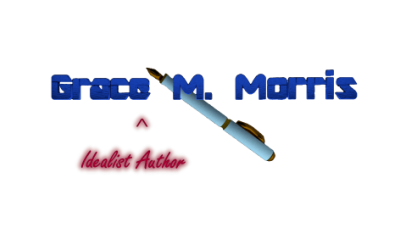 It also helps Grace M. Morris to continue self-publishing our books for you to read. The analysis and opinions on our site are those of Grace M. Morris. We believe you are entitled to fair and accurate information. Grace M. Morris may revise, modify or update this disclaimer. If you have a concern regarding this disclaimer, or this how we make money, you can contact us here. Last updated on August 30, 2018.